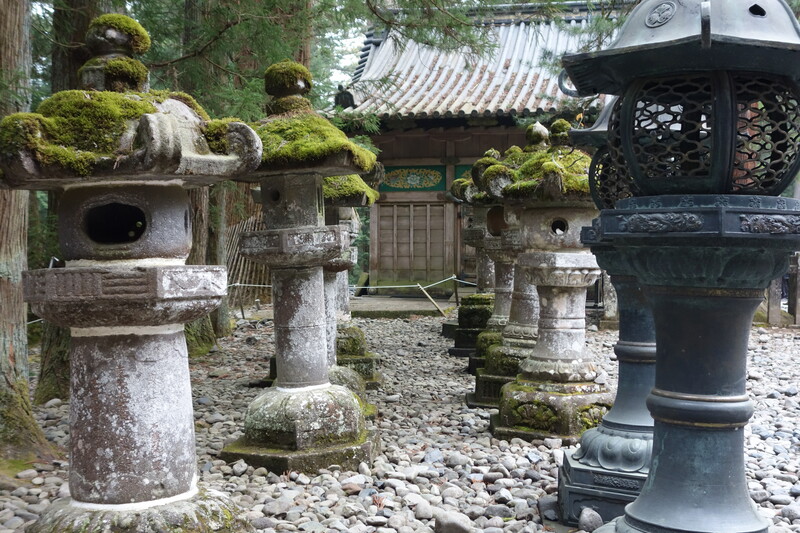 There’s a famous Japanese saying (translated in English as) “Never say kekko until you’ve seen Nikko.” Kekko means beautiful or magnificient and the city lived up to the saying. 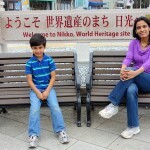 We made a day trip to Nikkō (93 miles north of Tokyo) to visit the Shrines and Temples of Nikkō declared as a UNESCO World Heritage Site. 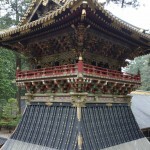 We started with the Rinnō-ji temple to see the large, gold lacquered, wooden statues of Amida Buddha, Senju-Kannon (Kannon, goddess of mercy, with a thousand arms) and Bato-Kannon (Kannon with a horse head) in Sanbutsodō (Hall of Three Buddhas). 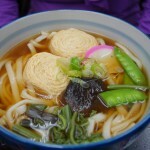 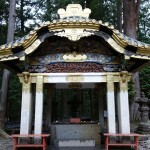 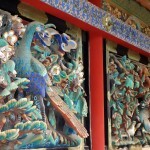 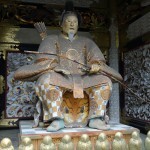 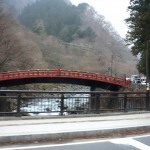 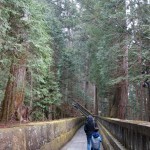 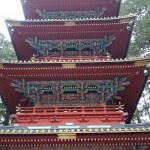 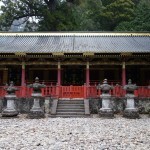 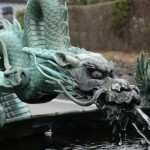 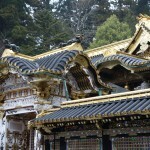 From there, we proceeded to Tōshō-gū shrine, a huge temple complex lavishly decorated with wood carvings and gold leaf. 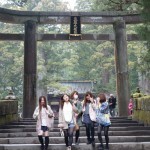 The 30 ft Ishidorii (Stone Torii) here, is one of the impressive stone torii gates in Japan. 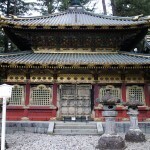 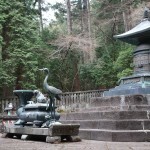 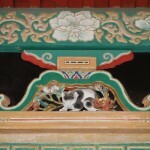 At Tōshō-gū, you get to see both Shinto and Buddhist elements in its architecture. 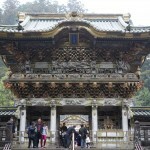 As you enter the complex, each gate has very elaborate carvings, but the second gate (called Yōmeimon) has to be the most ornate structure with the most intricate carvings I’ve ever seen. 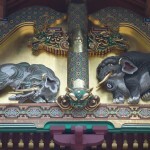 The most famous carvings at this shrine are the three “see no evil, speak no evil and hear no evil” monkeys and the Sōzōno-zō (imaginary elephants) carved by an artist who had never seen elephants! 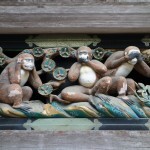 The “hear no evil and speak no evil” monkeys… …the “see no evil” monkey was taking pictures!